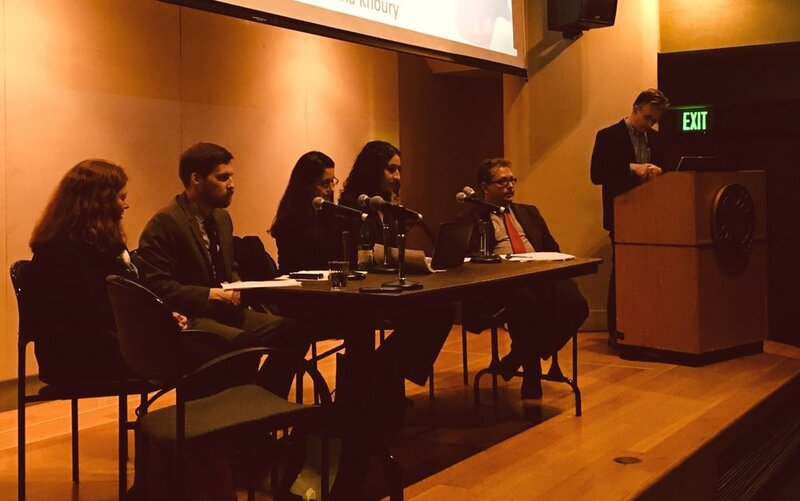 Panel: "Narratives of Co-existence and Pluralism in Northern Iraq"
On Friday, November 17, 2017, at the Ripley Auditorium of the Smithsonian Ripley Center, the academic panel, "Narratives of Co-existence and Pluralism in Northern Iraq," was presented in honor of Dr. Peter Sluglett. This panel was organized by Dr. Alda Benjamen (University of Pennsylvania Museum, Smithsonian Institution). The event began with a welcome by TARII Executive Director, Dr. Katharyn Hanson, and the panel started with special remarks about the life and career of Dr. Sluglett by Dr. Nelida Fuccaro (NYU Abu Dhabi) and Dr. Dina Khoury (George Washington University). They spoke about the Sluglett's contributions to the field and the profound impact his mentorship had on so many scholars. 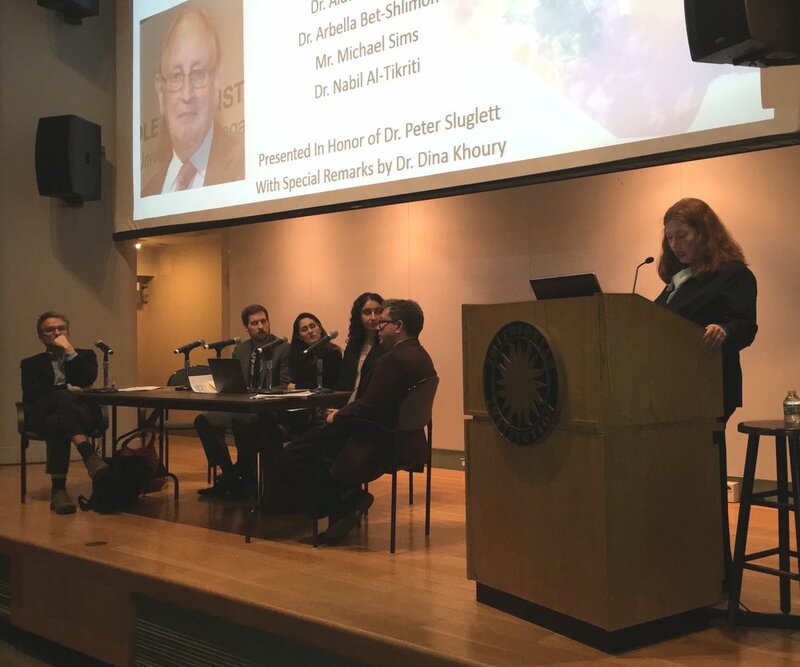 The panel began with special remarks about the life and career of Dr. Sluglett by Dr. Nelida Fuccaro (NYU Abu Dhabi), and Dr. Dina Khoury (University of Washington). They spoke about Sluglett's contributions to the field and the profound impact his mentorship had on so many scholars. TARII President Dr. Peter Wien (University of Maryland) then introduced the panel and made the opening remarks. 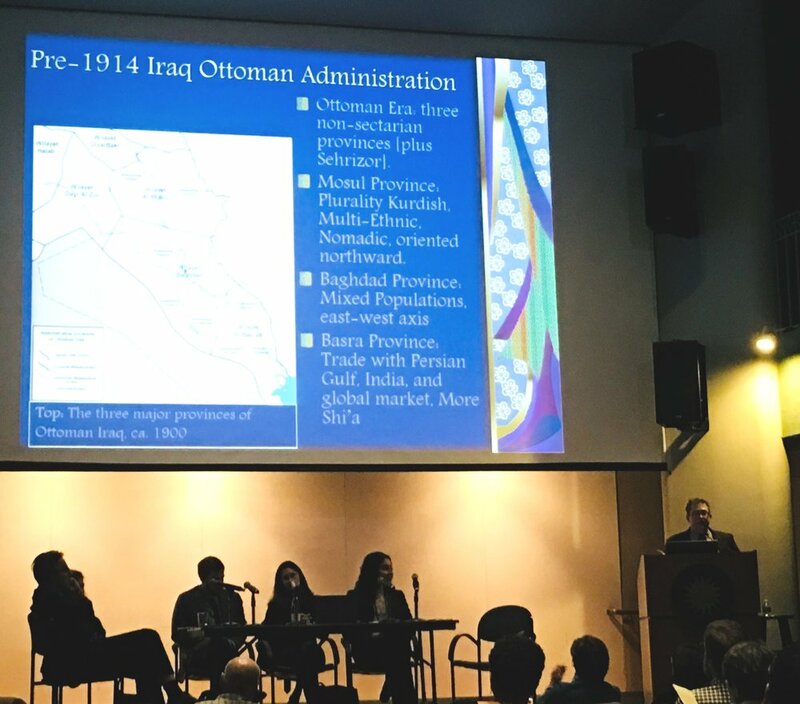 Dr. Orit Baskin (University of Chicago) spoke first, explaining that the diverse ethnic makeup of northern Iraq in the 19th century actually helped the position of the Iraqi Jews. She further discussed the Iraqi Jews during the Rashid Ali al-Gaylani revolts and stated that the Iraqi Jews felt they could trust their neighbors in Kirkuk and rely on their local partners, which was much different from the sectarian revolts in Baghdad. Michael Sims (University of Washington) discussed the increasing Yezidi marginalization from Ottoman to post-Ottoman Iraq by reviewing many primary accounts. Many Yezidis, he argued, are looking for self-determination but find themselves politically marginalized. Dr. Alda Benjamen highlighted how minorities, such as the Assyrians, had been active in the Iraqi opposition for decades and are the key to rebuilding Iraq today. She focused on examples where religion and culture are intertwined in many communities in the Nineveh Plain. 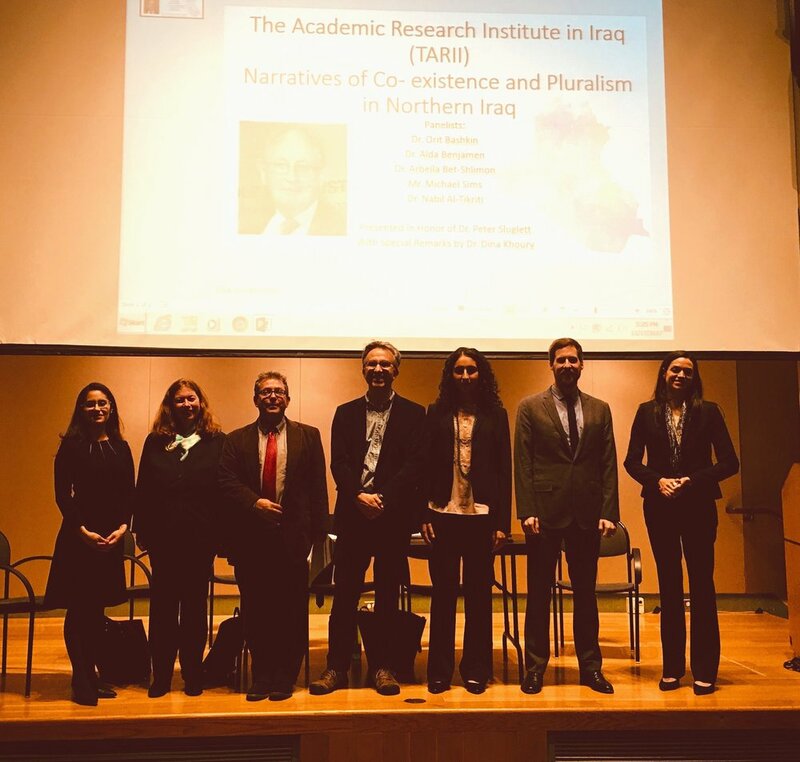 Dr. Arbella Bet-Shlimon (University of Washington) challenged notions that Kirkuk was on the brink of war and examined how Kurds came to frame Kirkuk as their "long lost Jerusalem", a post-1958 development. Dr. Nabil Al-Tikriti (University of Mary-Washington) examined the idea of the tripartite partition of Iraq and where this notion came from. He further traced these ideas and how they fed into sectarianization and displacement legacies. At the conclusion of the panel, Dr. Wien led a question and answer session.